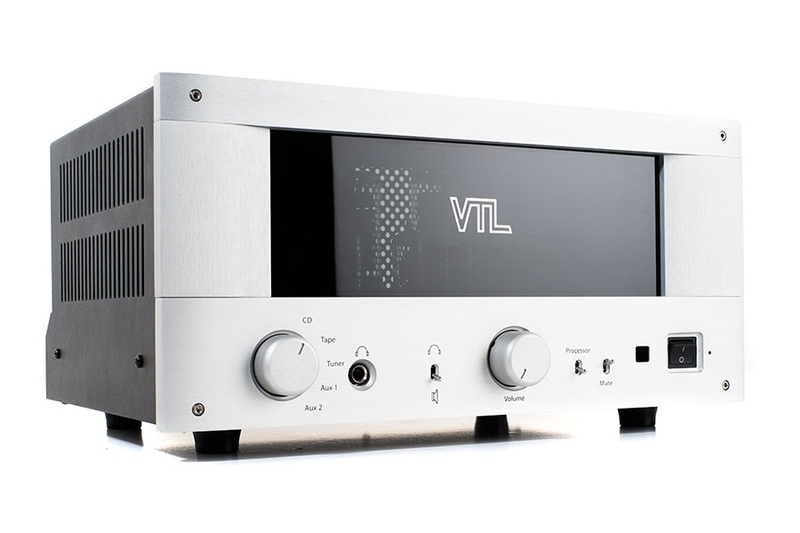 “The VTL IT-85 Integrated Amplifier is designed for those who seek the simplicity of a single chassis system, but with the performance of separates.” A single chassis system with the performance of separates? Heard that before? Unless further evidence is donated I’d ignore such claims as marketing slogans. In this particular case, however, I’m inclined to believe every letter of it. Why? First off, VTL is a devoted manufacturer of separates. 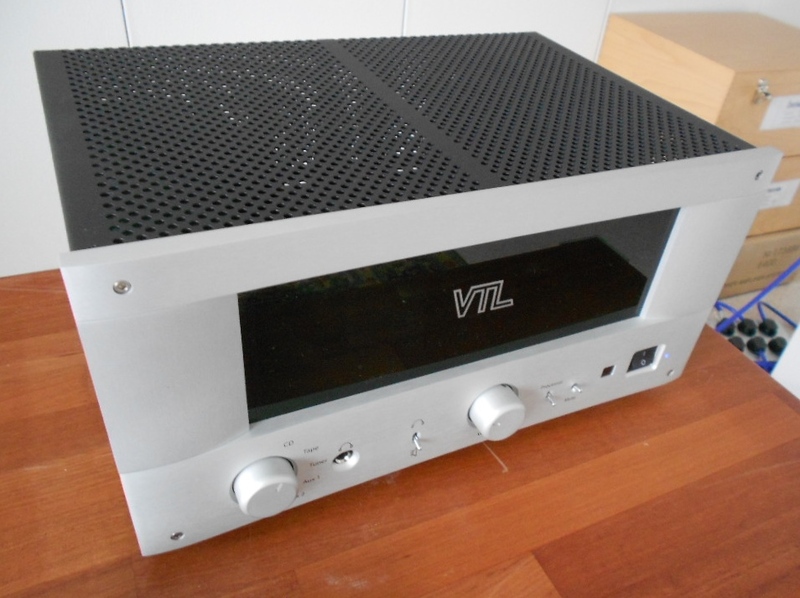 When I first got to know VTL amps, roughly twenty years ago, they didn’t have an integrated amplifier in their product line, just separates. The VTL Anniversary Triode 60 (a 60W amp hard strapped to triode) from the early 1990s (I once had one) did have volume pots for both channels but the amp was never considered as an integrated amp, and of the two pairs of rca input jacks, the other was feeding directly the grid of the input tubes. 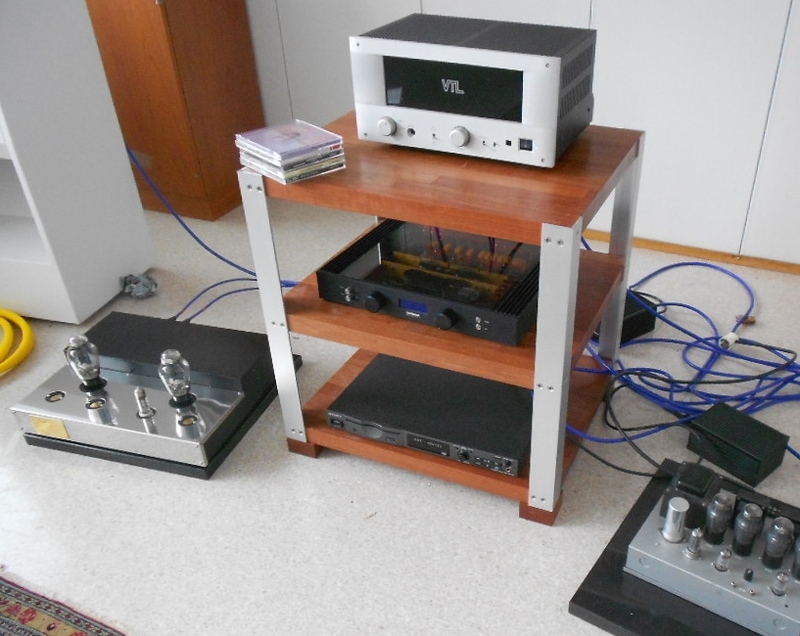 David Manley in his “VTL pure tube” from 1994 does not even mention integrated amplifiers. 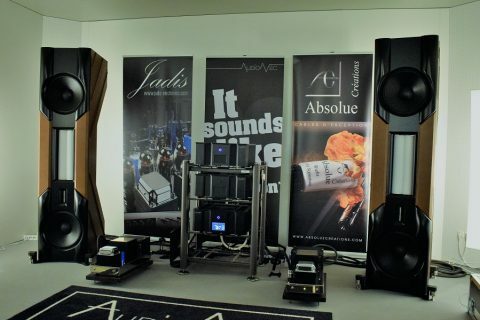 So, when VTL writes about “a single chassis system with the performance of separates”, getting what is promised is not wishful thinking but precisely a complete preamp married with a fully-fledged power amp to form an “integrated” amplifier, with no need for interconnects! In the case of IT-85, combined are VTL TL2.5 preamp and VTL ST-85 power amp. David Manley in his “VTL pure tube” from 1994 does not even mention integrated amplifiers. The IT-85 is not a new baby. Like the IT-85 from the early 2000, it sports a buffered pre-out connection as well as a front panel selectable direct amp-in / processor loop connection (575 mV/135Kohms). Thanks to its cathode-follower buffered output the preamp of the IT-85 can be used as a separate active preamp even with transistor power amps. The IT-85 also features a built-in upgrade path for precisely gain-matched horizontal biamping with VTL ST-85 power amp. The idea is that, without any external crossovers, the ST-85 takes care of the low frequencies and the IT-85’s power amp section the higher frequencies, and the IT-85’s preamp section functions as the overall system controller. Again, biamping is something that VTL has been in favour of and recommended right from the beginning. One thing I like about VTL amps is that no fancy solutions are applied but the same well-tried design principles are followed as thirty years ago. That includes importance of a well executed power supply (no amplifier is better than its power supply since the amp modulates the power supply); high energy storage in the PS; reliable diode rectifiers (VTL previously used Siemens); separate and regulated “B” rail for the input tube (power amp); fixed bias (no cathode-resistor, more power at lower distortion); Class AB1 operation; selection of tubes of high and stable quality; special design and winding of coupling (output) transformers (for the tight, clean bass at low frequencies); sensible quantity of negative feedback taken from the secondary “driving” winding of the OPT; etc. The distortion for 20 Hz – 25 kHz (+/- 0.1dB) is < 3% THD. The output impedance 1.55ohms, which can cause concern with some low impedance speakers, perhaps, but normally not. The IT-85 is a standard push-pull Class AB1 design build around two 12AU7’s (input), two VTL’s favourite 12AT7’s (driver/phase splitter) and four Svetlana EL34’s at the output (pentodes in tetrode mode). Note that VTL is very strict about naming the exact operating class; Class AB1 is Class AB1 and nothing else, that is, “one in which the grid bias and peak signals voltages are in such proportion that it operates as a class A amplifier for small signals and as a Class B amplifier for large signals”. The amp delivers ample 60 watts of power in tetrode mode (8 ohms), and is not switchable to triode mode with half the power. 60W is a lot of power but not in VTL terms: it has always designed its amps for the worst case scenarios, insensitive loudspeakers, noisy environment etc. 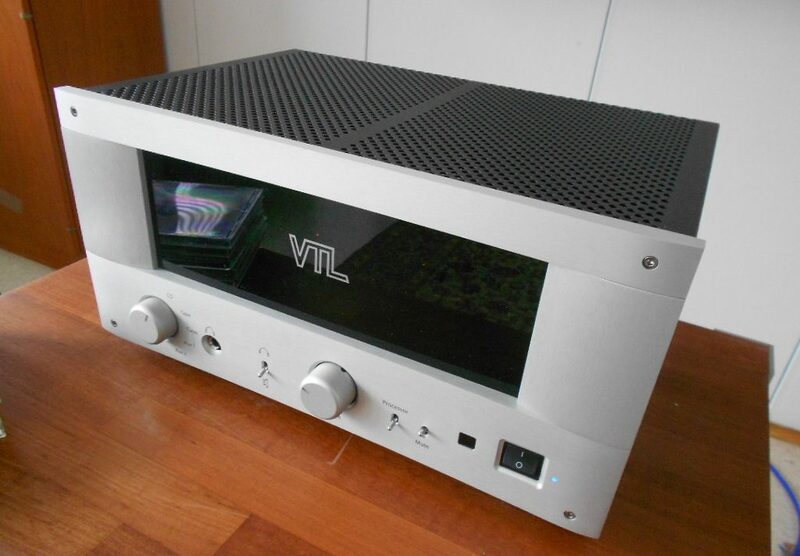 VTL never went for small power SE triode amps or Class A 10 watters (eg. PP EL84). As far as I know, 20-25 watts from a pair of KT66 is the VTL minimum, and that was back in the eighties. It’s kind of reassuring to know that VTL has not changed its power output policy during the past thirty years. The flipside is that noise can become a problem in quiet circumstances and with efficient loudspeakers but, first, VTL has, since ages, foreseen that possibility too, and second, those with 110dB sensitive horns are unlikely to use VTL amps to drive the horns. With 95dB efficient speakers I didn’t detect noise worth mentioning. 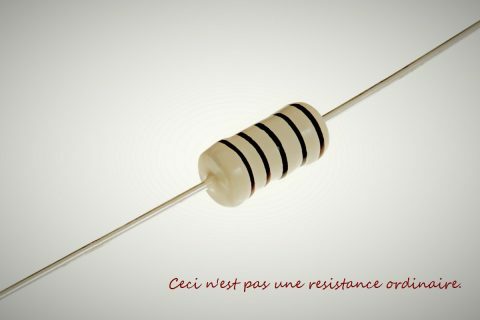 The output power is said to be stable down to 2 ohms. There are no taps for different speakers loads (eg. 4,8,16 ohm) because VTL “uses feedback lowered impedance and transducer-embracing EMF to good advantage, and the design requires that the entire output transformer is included in the feedback loop.” The nominal output impedance is fixed to 5 ohms. That would be ideal load but the amp can handle loads from 2 to 16 ohms. Previously VTL amps required that idle current is measured and fixed regularly, and that was made easy (no need to open the chassis). The amp has 5 line-level inputs (180mV/20Kohms), a separate MC/MM phono stage is available as an option. The binding posts on the rear panel are angled 45 degrees: very handy. The front panel features an input selector, volume, mute, direct amp in switch, headphone out (50-500 ohms) and power on/off. The amp is also controllable via a volume/mute remote. Tone controls? A balance control? In VTL amps? No way. “By using good quality connectors, good wire and solder, omitting “toys” plus eschewing signal-on-tracks, we’re able to go flat to 100kHz and above.” VTL pure tube, p. 45 And yes, it’s still hand built in the VTL factory in California with the proven VTL quality. 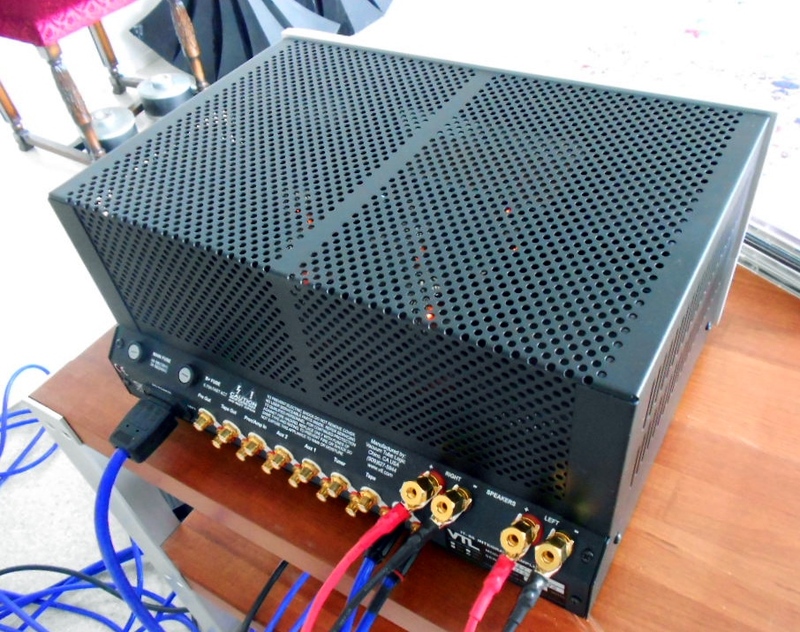 Given that the IT-85 gives a shelter for two independent amps, it’s a compact amp: 40 x 28 x 17,75 cm. It looks much bigger in photographs. The compact size should not come as a surprise because VTL, to keep signal paths as short as possible, has always made relatively densely packed amplifiers with respect to their power output, and it’s the giant mono blocks of recent years that have blurred the picture. The IT-85 is an attractive looking and humanly proportioned amplifier, an obvious threat in a beauty contest to Luxmann Classic and Leben integrates. I prefer the façade of this new version (extruded machined aluminum front panel in silver or black) to the front plate of the ten year old version. For the sound check I had two reference amps: a DIY SET 300B and a vintage 10W PP NOS 6V6. As speakers I had two widebanders, one sensitive horn loaded, the other less sensitive reflex loaded. It was obvious from the very beginning that with the IT-85 there was a sense of power and weight in the sound that was missing when the two other amps were under duty (the 300B amp sounded brighter and skinnier as well), although subjectively the 6V6 amp fell equally down in bass frequency. By power I mean the feeling that the amp is not on the verge of collapsing even with dynamic Bela fleck type of low bass sounds. Time after time the IT-85 proved that it’s capable of providing carefree moments with all sorts of music and recordings. 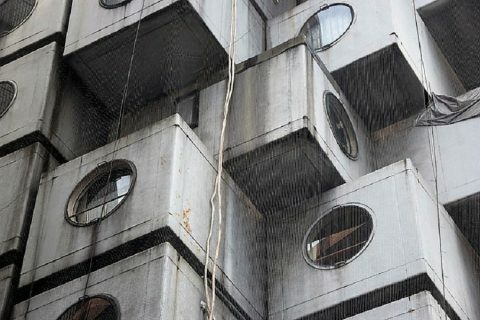 At the same time the sound of the IT-85 was open, quite airy and extended. The amp does not force down the sound to the center of the sound stage, but lets music hover freely between the speakers. The IT-85 is not a sewing machine but it knows how to give music all speed it requires, especially in the bass. It didn’t give the impression of being sluggish. Time after time the IT-85 proved that it’s capable of providing carefree moments with all sorts of music and recordings. Now we approach the essential question regarding the classic push-pull El34 designs: whatever merits their sound may have, are they still kind of soft in bass, and too general sounding for maintaining interest in the reproduced music in the long run? There have been such PP El34 designs in the past, perhaps still are, and those can sound woolly and dragging, such that only few seem to like them. The IT-85 is certainly not dragging but what about generality of the sound? No, I don’t think the sound is too general or featureless. On the contrary, with interesting sounding speakers that are right for the purpose, the IT-85 will produce fairly exciting sonic results. But, if a wholesome and healthy sound is considered general, then the sound of the IT-85 is general. If a sound that feels easy to accept is general, then the IT-85’s sound is general. As it is, if a sound that does not give rise to immediate wordy comments is general. I’d say only the guys who relentlessly hunt the inner colour of the sound by predisposing their efficient horn speakers to 45, 2A3, 300B etc. (one per channel) would have a right to call the sound of the IT-85 general, or perhaps not general but lacking a bit in luminosity and vividness in comparison to their beloved triodes. The IT-85 is a great amp, eg., when a bass weak monitor needs bottom end credibility and midrange relief. 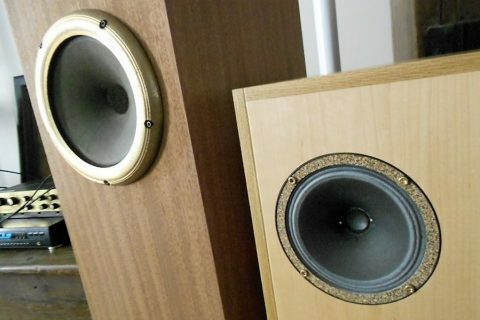 A strong point of the IT-85 is definitely that it goes with a wide variety speakers both power-wise and tonally. The IT-85 is a great amp, eg., when a bass weak monitor needs bottom end credibility and midrange relief. Any system or speaker which is expected to benefit from a healthy vacuum tube sound should pay attention to what the IT-85 can offer. 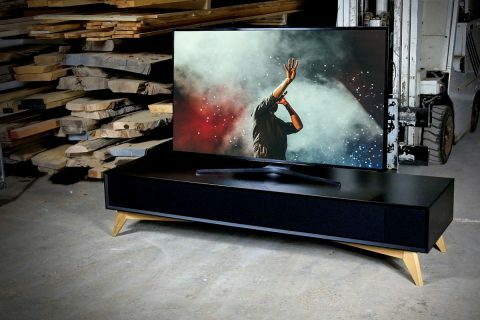 The IT-85 would be well used when used for bringing a modest or an average system or speakers to the next level of performance, for although it wouldn’t be a shame to ask the IT-85 to drive expensive top-quality speakers, it could amaze more owners of speakers whose potential is not being fully realized. The VTL IT-85 is not without competitors. Octave V70 (4×6550), Luxmann SQ-38 (4xEL34), Leben CS-600 (4x6L6GC) etc. are all available for those who for different reasons desire a vacuum tube sound but won’t be satisfied for having it only 5, 10 or 15 watts. 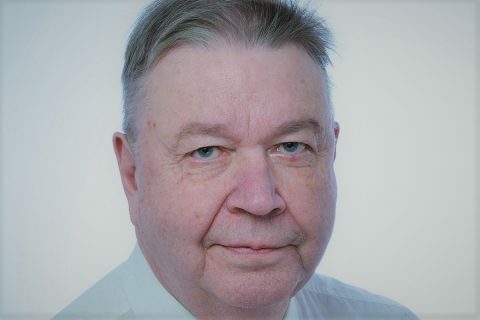 There are quite a many amplifiers from the low power category that challenge the IT-85’s competitors from below; it’s absolutely great that there’s one that challenges them from above: VTL IT-85.